Please fill out the form below and include as much information about your home or property as possible. Please be sure to include any updates or improvements to your home so that I can perform an accurate analysis of your homes value. According to Trendgraphix and the Columbus Ohio MLS, Sam Cooper is the #1 Selling Real Estate Agent in Reynoldsburg Ohio 43068 for 2012. In 2011 Sam Cooper was also ranked #1 as the Top Producing Realtor in Reynoldsburg OH ( for traditional real estate transactions ). 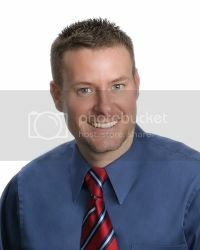 Sam and his team are also in the Top 1% of sales agents in all of Central Ohio (2009- 2012). We're not trying to brag. But, if you know anyone truly thinking of buying or selling a home in Reynoldsburg, then you've got to have them contact Sam Cooper with HER Realtors. Sam knows Reynoldsburg very well, has proven sales experience and a dedicated real estate team to make real estate deals happen! The data above includes all licensed agents, brokers, real estate companies and teams in Central Ohio. Buying or Selling Real Estate in Reynoldsburg Ohio? Contact Sam Cooper, Reynoldsburg Ohio's Top Selling Agent today!